I read this article and found it very interesting, thought it might be something for you. 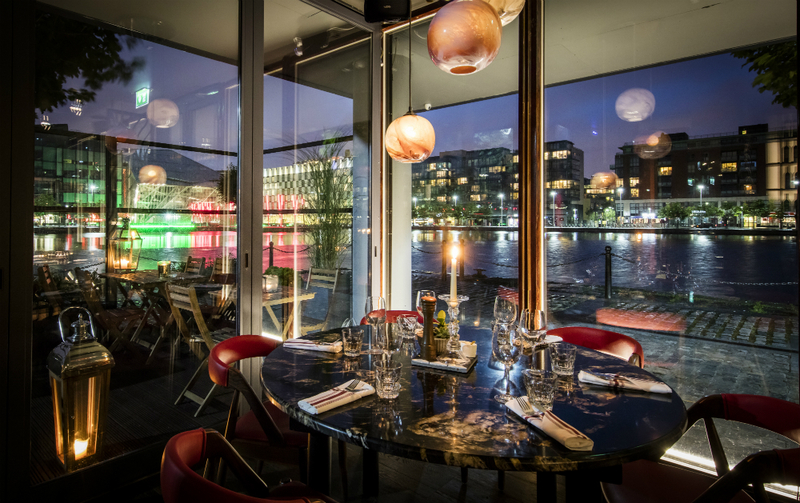 The article is called Bitesize: NYE at Charlote Quay and is located at https://www.totallydublin.ie/food-drink/food-drink-features/bitesize-nye-at-charlote-quay/. 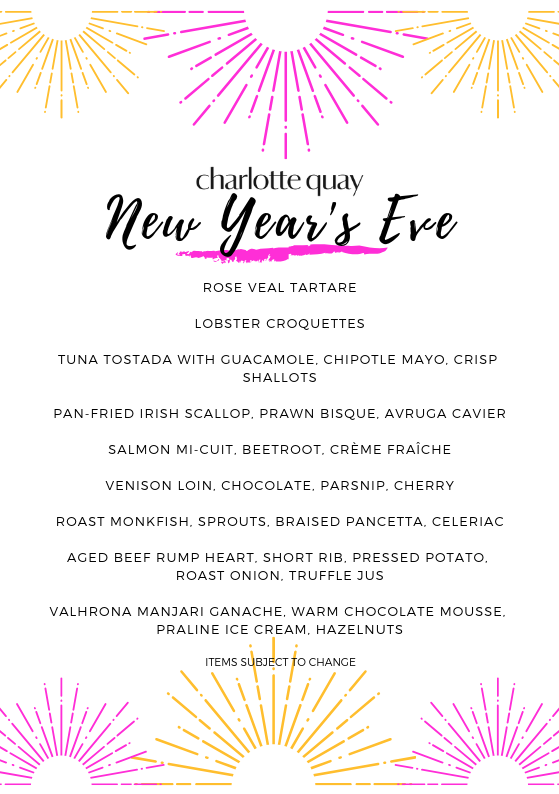 This New Year’s Eve the accommodating folk at Charlotte Quay lay on a Special New Year’s Eve Supper, complete with dance and merriment ahead of a spectacular fireworks display out on the dock. Ring in the New Year in style with delicious canapés and cocktails on arrival from 8pm, a stunning six course chef’s tasting menu from 9pm and complimentary Bubbles to toast the arrival of the New Year at midnight. What’s not to love? Happy New Year!